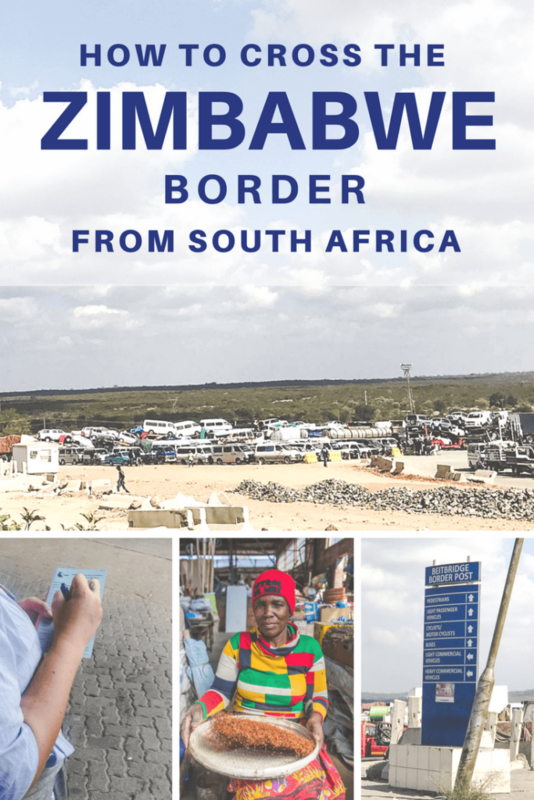 The officer at the Zimbabwe border told us that 8,000 to 20,000 people cross the Beitbridge border every day. And of that number, approximately 2,000 are foreigners from around the world, including the neighboring African countries. Everyone was helpful and patient with us, and they even offered me snacks as we dealt with our own follies. This border was not as bad as some people made it out to be… Or maybe because we went in expecting the absolute worst, in the end, it didn’t seem that bad. One thing no one warned us about was that baboons frequent the South African border post and get very close to humans, so be careful with your belongings and any food you take out to eat. Baboons are known to be aggressive and will even attack humans. 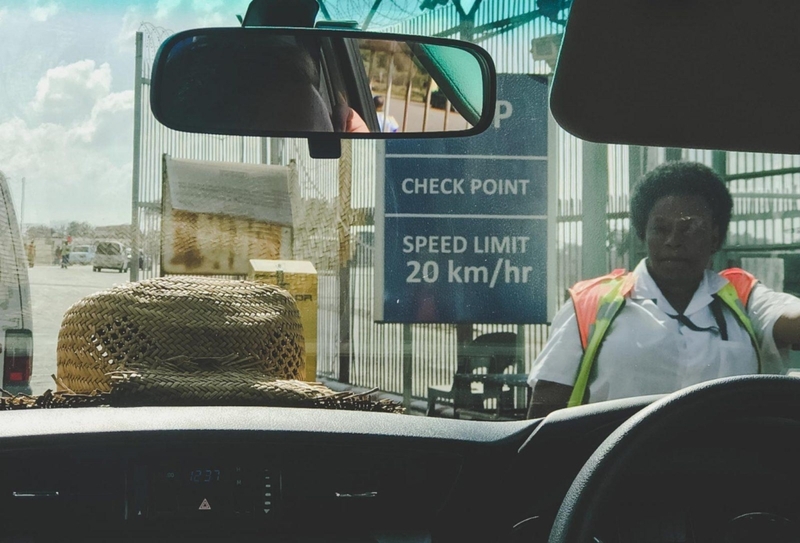 So without further ado… Here are the ten steps we had to take to successfully meet the requirements for crossing into Beitbridge, Zimbabwe by car from Musina, South Africa. Get a gate pass for your car. 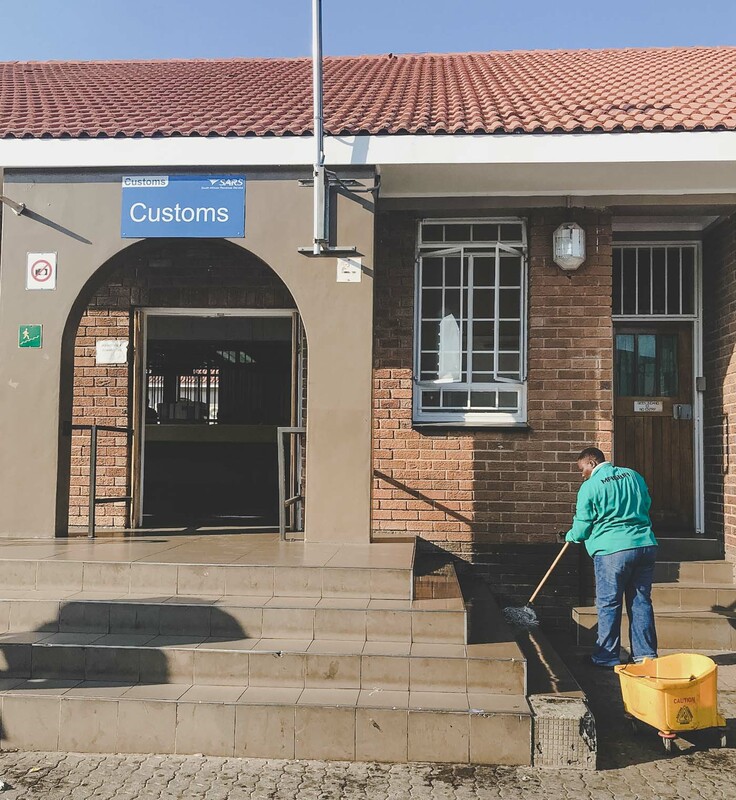 In the Customs counter of South Africa (the first counter) you will declare vehicles and goods in possession and produce registration documents. Get stamped out of South Africa. In the Immigration counter, hand over your passport to get stamped out of South Africa. No paperwork was needed for me (American passport) or my Australian travel mate. We then drove to the next post. Get your car inspected out of South Africa. Bring all of your paperwork to the officer. It is imperative that you have the “CERTIFICATE OF REGISTRATION” form to leave the country. Make sure your car rental company gives it to you before you drive off. Not the “MOTOR VEHICLE LICENCE DISC” form. If you’ve already left the car rental offices and are too far away, you may be able to call them up and have them email you the form. You can then print it out in the South Africa immigration office like we did. Hand over the gate pass (from step 1) to the officer at the next post. Drive through the Beitbridge (an actual bridge) into the Zimbabwe Beitbridge Border Post! Pedestrians, light passenger vehicles, cyclists/motorcyclists, and buses all go to the same counters (go right) . Light commercial vehicles and heavy commercial vehicles go to another very long line… (go left). Get in line for car paperwork at the Zimbabwean immigration booth/office. Here you will pay a bridge toll and get another gate pass. Get your travel visa. Grab an “IMMIGRATION DECLARATION” form to fill out while waiting on the customs line where it says “buses” (even if you didn’t come on a bus). Once reaching the immigration officer, you will choose a visa: single $30 or double entry for $45. 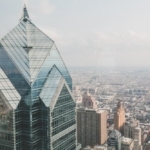 For a multiple entry visa, you must go to a consulate. From here you can pay with a credit card (PIN cards only) or cash (USD, rand, or local currency). Get a Commercial Vehicle Guarantee (CVG) form. People will swarm you to sell you this. 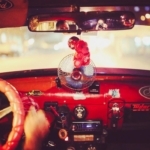 You will be offered rates from $15 USD to $50 USD. Once you have this form you can move onto the Vehicle Clearance Office where you hand in the paperwork. Lastly, you hand over the gate pass (from step 6) to an officer at one post. And a few meters down, another receipt to the officer at the last checkpoint gate post. They have several checkpoints to avoid corruption. Total time getting through South Africa to Zimbabwe without any paperwork issues: Less than 2 hours. The AA website has more information for documents if your situation is different than ours. If traveling through the Chirundu Border: Police Clearance Certificate for vehicles and trailers. Commercial Vehicle Guarantee (CVG): Private vehicles do not require a CVG but private 4X4 may be required to obtain a CVG. Third-Party Insurance – You can buy this at the border if you don’t have one. Reflective Tape for the car bumpers – We bought these at the border by a local Zimbabwean for about $3.